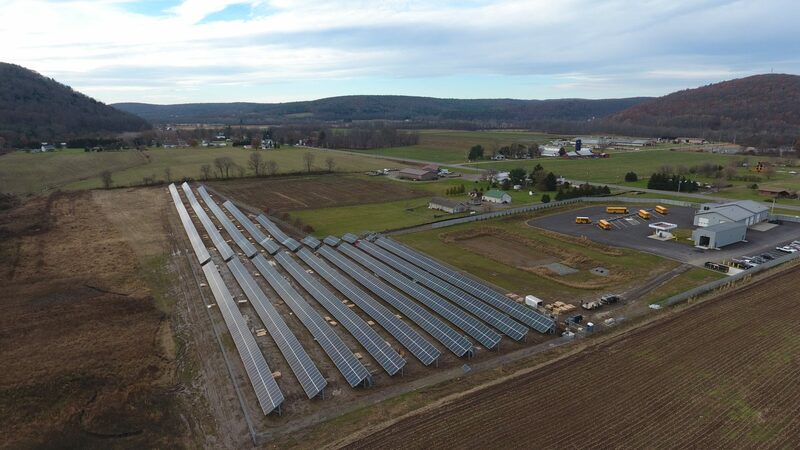 ​Photo of the final installation stage of a school solar array in the Southern Tier. ​When a school district goes solar, everyone from taxpayers to students reaps the benefits. Even the smallest solar-powered schools save hundreds of thousands in energy bills, amounting to millions of dollars over the life of the commercial solar system. 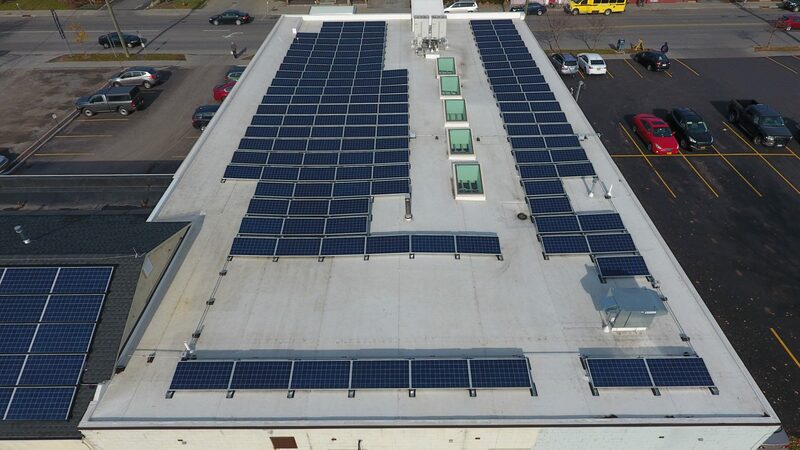 Renovus works with teams of engineers, State energy performance contractors, and specialists at organizations such as BOCES to help entrepreneurial school districts go solar for as little as 10% of the sticker cost. Going solar can save school districts thousands, lessening the stress of constricting budgets and enabling administrative staffs to invest in what matters, the well-being of their students. ​​Few institutions have a higher energy demand and more viable solar resources than universities and colleges. 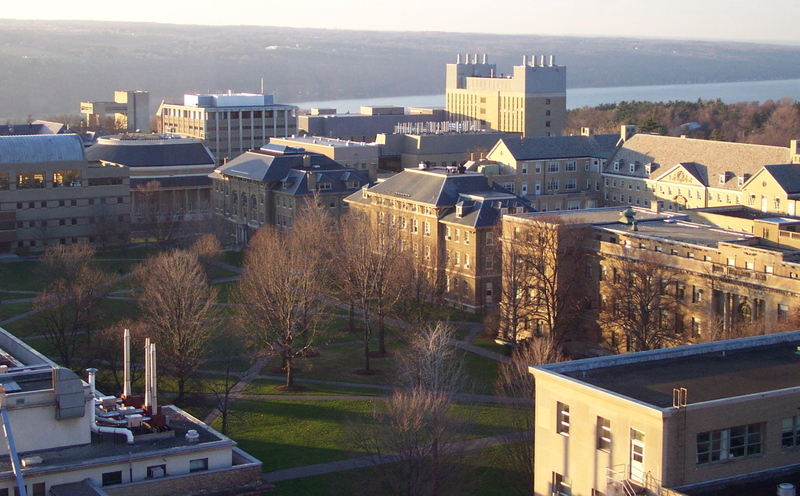 Renovus can help universities and colleges offset tens-of-thousands of dollars in energy costs every year. 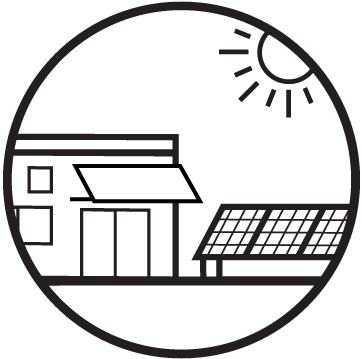 By combining viable rooftops, ground-mounted systems, and large utility-scale commercial solar projects; Renovus is helping Colleges minimize their energy impact, mitigate the financial risks associated with energy purchasing, and show their commitment to sustainability. 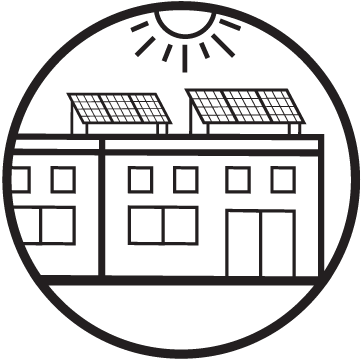 Becoming a solar-powered educational institution can benefit your budget immediately, with long-term savings that will reach into the millions of dollars over the guaranteed lifespan of the system. 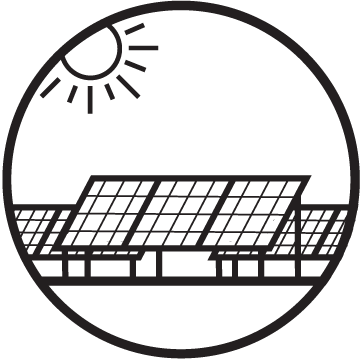 The investment in solar serves the mitigate the risks of energy costs and cities can position themselves to safeguard taxpayer money in the present and future. Candor Central Schools decided to go solar in mid-2017. By December 2017, Renovus had designed-built-tested and interconnected a 1MW solar array that is saving the school district more than $10,000 a month. Take a virtual tour of the system via 3D drone model, or watch an interview with the project's champion; Superintendent Jeff Kisowski. ​There's never been a better time. Panel prices are at all time lows, and incentive packages are at all time highs. What does that mean for your school or institution? Saving hundreds of thousands on energy bills. Learn more by clicking the button below! ​We would love to schedule a time to better understand your needs, and how we can help get you where you need to go. Enter your information below and one of our experienced project managers will reach out to schedule a conversation.